Moleta Munro specialises in contemporary European furniture and lighting to residential and contract clients, throughout the UK and Europe. 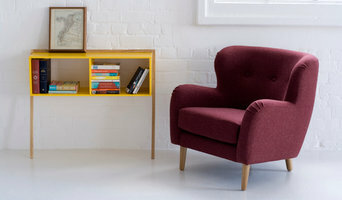 Launched in 2007 by Justin Baddon to bring contemporary designs with a Scandinavian slant to Scotland. Justin remains at the helm in this family run, specialist business. Located in a townhouse in Edinburgh’s New Town, Moleta Munro’s beautiful and spacious showrooms provide a carefully curated selection of sofas’s and lounge chairs, occasional tables, dining tables and chairs as well as an extensive offer of storage ideas. Designer lighting features prominently, including pendants, wall, ceiling, floor, table and task lamps all available to view. Soft accessories compliment the showroom, with a capsule collection of smaller homeware items, cushions, and throws on display. Whilst our showrooms offers clients an opportunity to see product at first hand, Moleta Munro works with over 100 designer brands, so is able to draw on a further wealth of furniture and lighting designs which are not always able to be displayed. The majority of pieces are also shown and available to purchase via www.moletamunro.co.uk. However it is the personal service offered by the Moleta Munro team of carefully trained consultants that provides residential and contract clients alike with expert advice and insider insights. 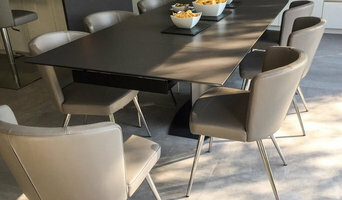 Whether a single purchase, or a large scale home interior or commercial project, Moleta Munro works with clients, interior designers and architects to specify and supply exceptional furniture and lighting, often not readily available elsewhere in Scotland. Over 100 Brands represented in 1 Showroom With collections from Carl Hansen, &Tradition, Muuto, HAY, Lightyears, Gubi, Fritz Hansen, Tom Dixon, Zanotta, Tom Dixon, Flos, Foscarini, Louis Poulsen and many more, discover your contemporary pieces from some of the world’s most iconic brands. 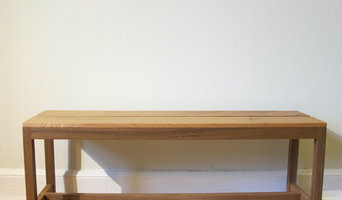 Namon has been designing and making furniture from his Edinburgh based Studio since 2005. His career has merged both disciplines of design and craftsmanship. He produces a diverse range of work, designing for commercial production as well as the bespoke manufacture of private commissions. His award winning furniture has become synonymous with its high quality, honest design and rich understanding for the materials with which he works. Tom Cooper Fine Furniture was established by Tom Cooper in 2004, setting up workshop in the beautiful grounds of Newbattle Abbey in Dalkeith, just outside Edinburgh. He came to set up his business designing and making furniture after completing a BA Honours in furniture design from Edinburgh Art College in 2001, and then spending three years working for Lawson’s Timber in Edinburgh, where he gained valuable hands-on experience with the materials and machinery. The Water Ink collects finest hand-crafted tableware and home decoration from Asia. Our tableware are made of iron-enriched clay. They are designed in Taiwan, and expertly crafted by fine professional craftsmen inspired by fine Japanese dining. Our products are simple, modern, and rustic, with a hint of oriental aesthetic. 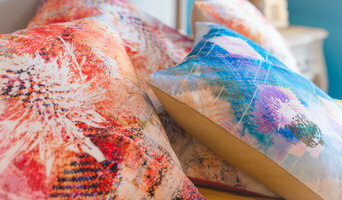 Native Flok is the creation of Eve Hynd, a Design led Upholsterer who works on traditional and modern upholstery projects in her Edinburgh based Studio. She works mostly on private commissions ,visual art Installations and collaboration with other textile artists and designers.